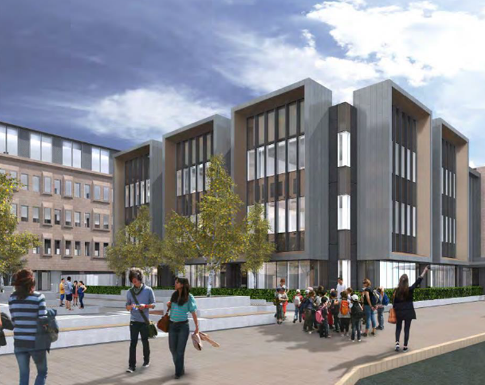 More details regarding the exciting plans to create a new sixth form centre in Halifax town centre have been released. Trinity Multi-Academy Trust, home of the outstanding Trinity Academy Halifax (TAH) sixth form, is working in partnership with Calderdale Council and Rastrick High School to deliver Calderdale’s very own sixth form centre. It has announced that the new building, which will be housed within the multi-million pound refurbishment of the Northgate site, will be open to students from January 2020. It will initially be able to accommodate up to 600 students, growing to 1000 students to meet increasing student demand. Students who enrol to the current TAH sixth form provision will be educated at the Trinity Academy Halifax site from September 2019 and then relocated to the Northgate site in January 2020. This entry was posted in Education and learning, Regeneration, Schools. Bookmark the permalink. Calderdale Council serves the towns of Brighouse, Elland, Halifax, Hebden Bridge, Sowerby Bridge and Todmorden.